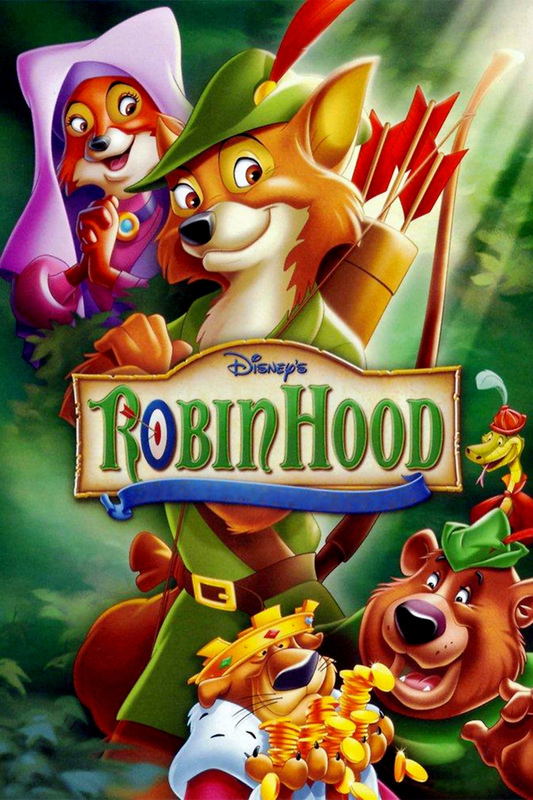 Robin Hood is a dashing young fox who lives in a woodland filled with anthropomorphic animals in medieval England. He is a talented archer whose best friend is a jovial bear named Little John. Along with friends of various species, they are in the habit of robbing from the corrupt and wealthy citizens of the kingdom to feed those who are poorest, particularly a large family of rabbits that has lost its father. Robin and Maid Marian, a fox within the inner court, are in love with each other, and she sometimes helps him pull off his schemes. One day, the evil prince holds an archery contest for her hand in hopes of drawing Robin Hood out, and the noble thief rises to the challenge.